Twenty-one African startups are getting ready to jet off to Switzerland to attend the annual Seedstars World summit — the culmination of one of the largest emerging markets startup competitions of its kind. 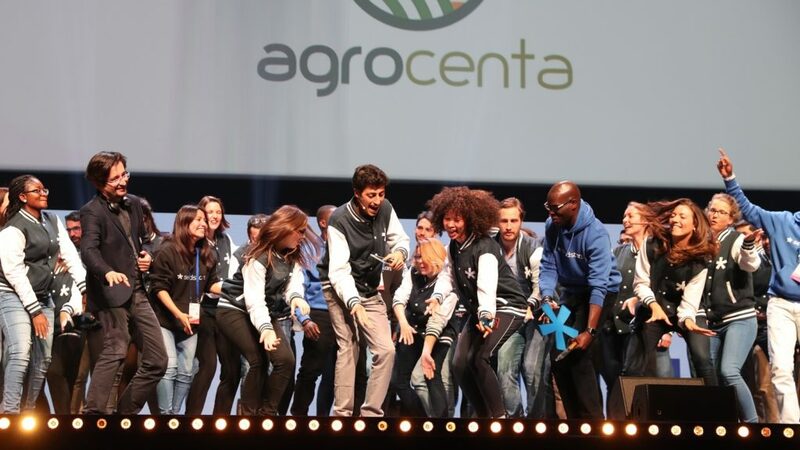 Last year Ghanaian startup AgroCenta was crowned 2018 Seedstars Global Winner at an awards ceremony in Lausanne, Switzerland and walked away with $500 000 in equity investment (see this story). Will African startups dominate the awards as they did last year, when they scooped four of the main five awards? The awards ceremony will take place this Friday (5 April) at the SwissTech Convention Centre at the conclusion of the sixth annual Seedstars World Summit which takes place on the same day. Ventureburn will be in attendance. Startups from about 75 regions, who each won pitch events held in their respective countries, will compete to be named Seedstars Global Winner. 7kemma (Healthtech, Egypt): This on-demand home nursing service, led by CEO Amr Nakrn won Seedstars Cairo held on 4 May last year (see this story). The startup’s online platform enables users to match with nearby skilled nurses and receive scheduled nursing services at their homes. Agro Supply (Agritech, Uganda): Agro Supply was founded in 2016 by CEO Ogwal Joseph and enables smallholder farmers save money for agricultural inputs. The startup won Seedstars Kampala which was held on 24 August (see this story). Bandim Online (Agritech, Guinea-Bissau): Bandim Online has developed a solution which aims to mitigate producer losses by getting products to market quicker and with the best prices. The startup come out tops at Seedstars Bissau held on 29 September (see this story). BeneFactors (Fintech, Rwanda): This Kigali-based business-to-business financing company — which was founded in 2017 by Olivia Zank and Jani Moliis — provides its clients with tailored working capital solutions in exchange for their unpaid invoices. The startup won Seedstars Kigali which was held on 20 July last year (see this story). Bluewave Insurance (Fintech, Kenya): This startup creates mass-market micro-insurance products that are accessible via mobile devices. The Nairobi-based startup came out tops at Seedstars Nairobi held on 21 September last year (see here). The company was founded in 2015 by CEO Adelaide Odhiambo. CowTribe (Agritech, Ghana): Founded in 2015 by Awin Peter and Alima Bawah, CowTribe provides an on-demand mobile (USSD-based) subscription service which connects livestock farmers with veterinarians, and helps deliver animal vaccines and other livestock healthcare services to farmers. The startup, which won Seedstars Accra on 13 July last year (see this story) in November last year announced that it had secured a $300 000 investment from the US-based Draper Richards Kaplan Foundation (see here). Diool (Fintech, Cameroon) Diool enables merchants to settle transactions with their customers through its platform which allows users to manage shops, accept mobile payments and offer special deals. DropQue (HR enterprise services, Nigeria): DropQue — which was founded in 2016 by CEO Opeyemi Akinwoleola and Yinka Akinbobola — uses a combination of one-way unassisted video interviews and an artificial intelligence (AI) assessment assistant to help companies to source suitable candidates. The startup won Seedstars Lagos held on 19 October (see here). Elham Education (Edtech, Libya): This startup, which was founded by CEO Mallek Ajaj in 2016, was placed first at Seedstars Tripoli for its platform which provides five different educational services that complement Libya’s education system (see this story). Franc Group (Fintech, South Africa). The Johannesburg based self-insurance platform was crowned the winner of the 2018 Seedstars SA finals on 18 November last year. 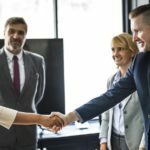 The startup was founded in May last year by CEO Thomas Brennan and aims to give people access to low-cost passive investments (see this story). Kubinga (Logistics, Angola): The peer to peer ride-sharing service won Seedstars Luanda held on 12 October last year. The startup was founded in 2017 by Alan Santos (see this story). Labes Key (Edtech, Democratic Republic of Congo): This Kinshasa-based startup has developed Schoolap, a platform that aims to improve the quality of teaching in the DRC by providing users with access to digital lessons online. The startup won Seedstars Kinshaha held on 21 September and was founded in 2015 by Pkanik Shiapa and Pascal Kanik (see this story). Money Farm (The Gambia): This agri-business platform, founded by CEO and founder Modou N’jie in July last year, won Seedstars Banjul held on 17 November (see this story). MyFoodness (Botswana): The food delivery platform won the Seedstars Gaborone pitch event, which took place on 9 November last year. At the time MyFoodness founder Boi Rasmussen described winning the pitch event as “amazing” (see this story). Nala (Fintech, Tanzania): Nala is a mobile money application that works offline, allowing users to easily access multiple mobile money wallets faster. The startup — which won this year’s Seedstars Dar es Salaam held in 10 December last year– was founded in 2017 by Benjamin Fernandes. The startup was selected last year by the prestigious US seed accelerator Y-Combinator to take part in its 2019 batch (see this story). Optimalogistic (Logistics, Tunisia): The logistics services marketplace was crowned the best startup in Tunisia after it won Seedstars Tunis held on 11 May last year (see this story). The startup was founded in 2016 and connects users to those renting out trucks and other construction equipment. The startup’s founders include CEO Mohamed Ben Slima and CTO Maher Chakroun. Rema (Healthtech, Ivory Coast): This startup, also known as Réseau d’Échange entre Médecins d’Afrique, was selected as the winner of this year’s Seedstars Abidjan pitch event. The pitch was held on 26 October. The startup — based in Cotonou in Benin — was founded in January by CEO Sedric Degbo (see this story). Rera (Agritech, Zimbabwe): Rera’s end-to-end farming service assists users with input procurement and production, with the startup claiming it saves users up to 40% on poultry produce. The startup won Seedstars Harare held on 29 June last year (see this story). Sudpay (Civictech, Senegal): Sudpay, which was founded in 2014 by Samba Sow, Moustapha Fall, Meissa Diop and Bamba Khouma, has developed a solution called Townpay which enables municipalities to collect more revenue by digitising the collection of local taxes. The startup won Seedstars Dakar held on 7 September (see this story). Weego (Transport, Morocco): This collaborative transit app which enables users to track buses and trams in real time. The startup was selected as the winner of this year’s edition of Seedstars Casablanca, held on 6 July last year (see this story). The startup was founded by Saad Jittou who launched the transit app in Senegal earlier in 2018. WenaData (Civic tech, Mozambique): WenaData aims to make it easier to collect statistical data in Mozambique by rewarding survey and poll participants through a points and rewards system. The startup won Seedstars Maputo held on 28 September (see this story).